Carpet Cleaning in Essex & London | Cleaning Bros Ltd.
Are you looking for an experienced and reliable cleaning company that provides professional carpet cleaning in Essex & London? Your carpets are in good hands with the technicians at Cleaning Bros. We’re proud of the stunning quality of our work, which we are known for in Essex, Romford and the surrounding areas of London. As we’re accredited by The Approved Carpet Cleaning Association, SafeContractor, The NCCA and Check-a-Trade, you can feel assured that when you choose Cleaning Bros as your carpet cleaning company, you’re going to be provided with a first class service, and you’re going to see great results. As a local, Essex-based company, we enjoy working as part of the community. We aim to build a lifetime relationship with each of our customers by simply providing an all-round great service, and producing the results that you’re looking to receive from your investment. We carry out carpet cleaning for homeowners and businesses, so whether you require domestic cleaning or commercial cleaning, we can help. Unlike other carpet cleaners in Essex areas, we’re equipped to use several different carpet cleaning methods at Cleaning Bros, as no one method is universal. By doing so, we’re able to clean your carpets using a method that best suits the fabric type. As a results, we’re able to provide a much deeper, thorough clean, without the risk of damage such as shrinkage or colour-run. With all of our individual methods, however, you can expect exceptional results, quick drying and no rapid re-soiling. Upon arrival, our technician carries out a preliminary preparation. This includes deep vacuuming, followed by the application of a heavy duty pre-spray treatment, which will loosen the dirt that has been trodden and embedded into your carpets, out of reach of the hoover. After some time – necessary for the activation of the cleaning agent – the carpet steam cleaning can begin. Thanks to the state-of-the-art equipment we use and our experience in carpet cleaning, incredible results are achieved quickly and safely, using only environmentally friendly biodegradable carpet cleaning products. These products are 100% safe for children, pets and allergy sufferers. We also provide dry carpet cleaning service for your seagrass, jute and sisal carpets. Dry powder compound is sprinkled evenly over the carpet before being worked into the fibres. The powder is then left to work for about 40 minutes, before a thorough vacuuming is carried out. With this method, the carpet can be walked on immediately after completion of the work. Where the hot water extraction cleaning method is unsuitable – usually in commercial premises – our technicians can provide an alternative method using only small amount of moisture. This ensures that your carpets dry in less than 1 hour, and in some occasions, before we have left your property. So, if you’re looking for a reliable, experienced and qualified team that provide professional carpet cleaning in Romford, Essex & London areas, call Cleaning Bros now on the number above to receive a free quote or complete the quick and easy contact form on this page and we’ll get right back to you. Brentwood, Chigwell, Havering, Hornchurch, Romford, Upminster and surrounding areas. To find out if we operate in your area, send us a message. Moving Furniture: First we will move large furnishings and clean around them to ensure the entire working area is clean. Vacuum: We then use a professional grade up-right SEBO vacuum cleaner to pick up any loose dirt and dust from the surface of the carpet. Spot Treatment: Difficult stains and spots are tackled prior to the cleaning process, using deploying specialist carpet and upholstery cleaning techniques and products. Pre-Spray: Next, we will apply a gentle cleaner specially designed to electro-mechanically lift oily dirt and pollutants from your carpet fibres and suspend them in an aqueous solution, ready to be quickly and safely extracted. Agitation: The pre-spray product is mechanically worked into the carpet fibres to further enhance the cleaning action. Extraction: Now for the very expensive machines we use to thoroughly clean and rinse your carpets. The high pressure hot water extraction unit we use cleans much better as it heats water to a high temperature and then fires the cleaning solution into the carpet at an extremely high pressure. This helps to break up the dirt, bacteria and pollens in the carpet and turns them into a water soluble solution. The machine then produces a high vacuum to pull the dirt and chemicals out of your carpet. Resetting your room: Furniture is then replaced back onto the carpet with protective foil tabs under the legs. Why? Well, sometimes the moisture left in the carpet will leak out colour-stain finish from the furniture leaving a very stubborn stain on the carpet. Grooming: The carpet is then groomed to ensure the fibres are as untangled and fluffy as they can be. Drying: Where necessary we will use a professional grade air mover to facilitate drying. Post Inspection: After the cleaning we will do a walk through with you, pointing out any concerns we may have and ensuring you are 100% satisfied with the results. Having your carpets professionally cleaned in your property on a regular basis will not only improve their appearance but also prolong their life. A deep carpet clean will also remove bacteria and prevent dust improving the indoor air quality. Outdoor air contains pollens, fungus, bacteria, air pollution, cigarette smoke, car exhausts and many other pollutants.These pollutants and toxins end up in our hair, skin, clothing and shoes and ultimately wind up in our carpet affecting our health and wellbeing and that of visitors to our home or work. Unlike hard floors your carpets act like a filter that traps impurities in the air. When the carpet gets full it is time for a deep carpet clean in London. 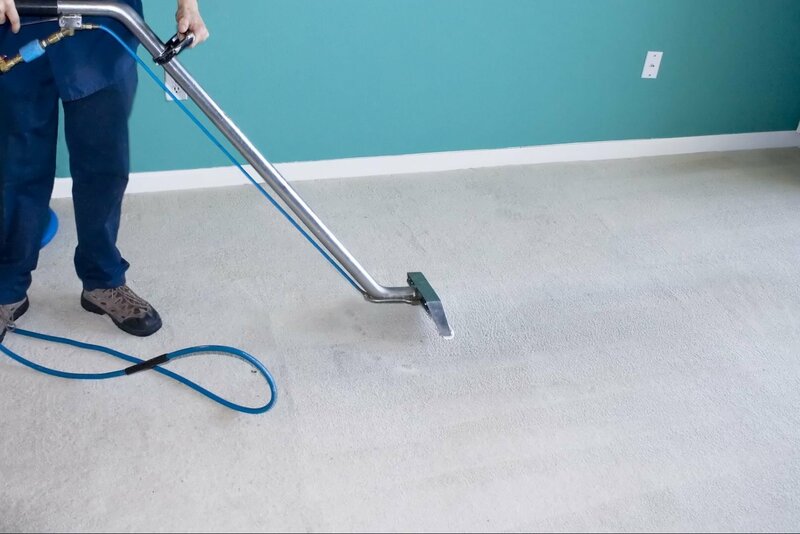 The major carpet manufacturers recommend professional carpet cleaning every 12 months to maintain the appearance and warranties of your carpeting. We recommend even twice or more a year if you have small children, pets or if you suffer from allergies. Besides the health issues related to the need of carpet cleaning. Maintaining and making your carpets looking good is always beneficial and positively affects your self-esteem and mood. It makes your house a pleasant place to relax, rest and have fun with your family, friends and guests. Send us a message to find out how our carpet cleaning services can help you.